Paschim Gujarat Vij Company Limited has revealed An employment advertisement as PGVCL Recruitment. Organization invites online recruitment application from Motivated & dynamic Indian Nationals for the 104 vacant positions of Vidyut Sahayak in various disciplines. Job searchers should have Graduation Degree or equivalent examinations from any recognised institute. Candidates belonging General / SEBC Category need to pay an application fee of Rs. 500/-. SC/ST category aspirants have to pay Rs. 250/- as application fee. The candidate’s age should not exceed 30 Years As on 23-08-2018. Salary & Pay Band: Candidates who will be recruited successfully they will get attractive and satisfying salary of Rs. 17,500/-, 1st Year, Rs. 19,000/- 2nd Year, Rs. 20,500/- 3rd Year from PGVCL. Engagement of aspirants will be based on their performance in Written Exam that will be driven by the recruitment committee of Paschim Gujarat Vij Company Limited. 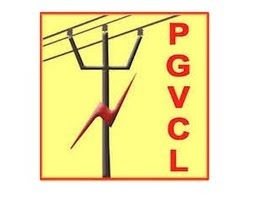 Job searchers who wish to apply for PGVCL Jobs needs to go on official site that is www.pgvcl.com. This will open a list of the links having latest openings and candidates have to select the most appropriate link which will open the complete advertisement having further details regarding PGVCL Vacancies. Online Registration Starts From : 23-08-2018.